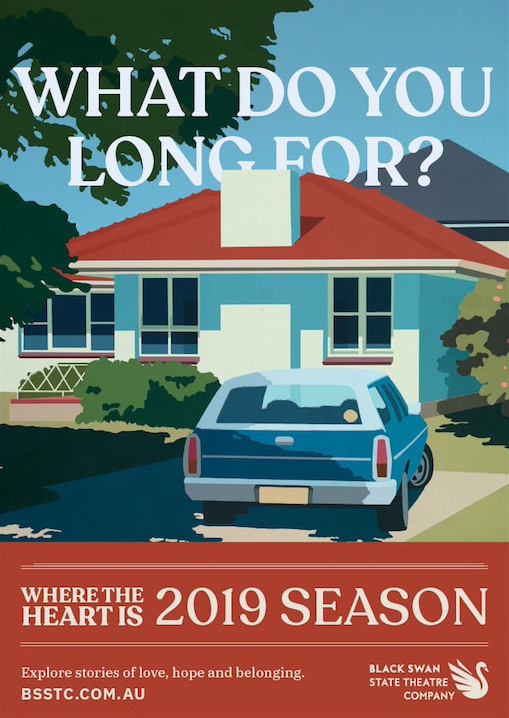 Block has unveiled its first work for Black Swan State Theatre Company – a campaign entitled ‘Where the heart is’, which launches Black Swan’s 2019 season of plays. Black Swan approached Block to help bring to life the vision of Clare Watson, the company’s Artistic Director. This season, Clare’s programme explores themes of belonging and family. 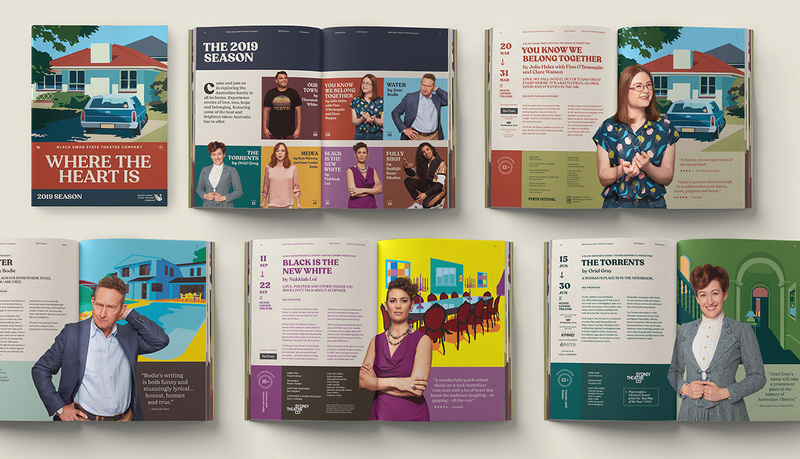 To echo these themes, Block posed a series of universal questions, which informed the marketing communications for Black Swan’s entire 2019 season. As champions of local talent and artistic collaboration, Black Swan was also keen to work with visual artist, Joanna Lamb. Clare approached Joanna about her involvement as the suburban scenes depicted in her works are distinctly representative of Perth, something that resonated deeply with Clare’s vision. “We took cues from Joanna’s artwork and colour palette to build on the sense of nostalgia and place. Richard Jefferson’s photographic portraits were designed to inhabit Joanna’s scenes, while standing apart from them. This treatment has been used to create key art for each show,” says Mark Braddock, Creative Director of Block. launch this year’s season. 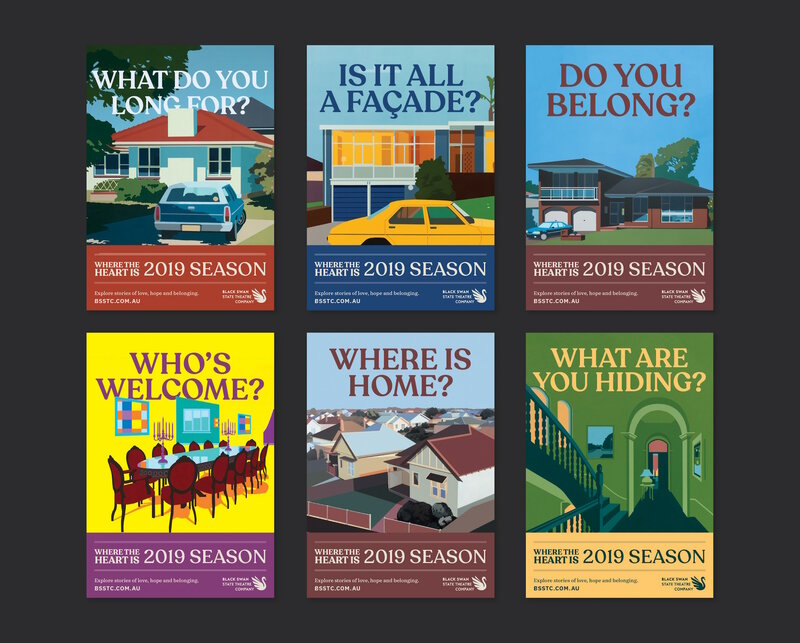 They’ve done a wonderful job of creating a campaign that will spark conversations about what it means to belong. We hope new and faithful audiences alike will be curious to discover ‘Where the heart is’. The campaign is now running across print, outdoor, digital and social. Along with a trailer, Block has designed installations for the State Theatre Centre lobby – large, furnished boxes spray-painted with provocative questions to get people thinking about what the season’s themes mean to them and others in their community. Founded in 1991, Black Swan is Western Australia’s premier theatre company. It creates exceptional theatre of national significance, infused with the unique culture of Western Australia. Black Swan is a resident at the State Theatre Centre of WA (since 2011) and over the past 28 years has presented more than 180 productions. Watch the 2019 season trailer, created by Block.